The circuit breakers in your home or office are one of the most important components of your electrical systems; any good electrician in Orlando will tell you that. They are absolutely essential to electrical safety, and their proper operation should never be taken for granted. 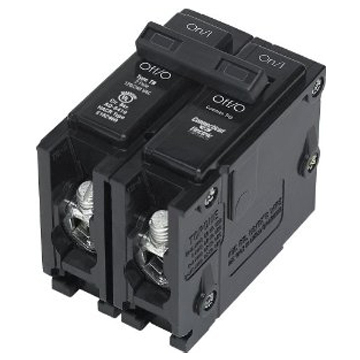 Simply put, a circuit breaker interrupts power in the event of an overload or short in the circuit it protects. Without this simple mechanical device, current would continue to flow through the faulted circuit, potentially resulting in circuit damage, overheating, or fire. Verifying the proper mechanical operation of a circuit breaker is extremely important, but equally necessary is ensuring that your breakers are of the correct type and size. A circuit breaker that is too small will trip unnecessarily, preventing it from effectively serving the circuit's load, while a circuit breaker that is too large won't trip when it should, preventing it from effectively protecting the circuit, and increasing the risk of fire. Call us today with any questions regarding this and we’ll be your electrical contractor in Orlando who will answer and educated in any way possible. At Spectrum Electric, we are an electrical company in Orlando with over 35 years of experience in testing and installing all manner of circuit breakers - residential, commercial, and industrial. Our experience as an electrical contractor in Orlando allows us to choose the correct breaker for any application. Our discerning eye for quality and personal responsibility for your safety demand that we use only the very best materials to protect your investments and the people you care about. Should we determine that additional services are required to complete the installation or replacement, such as replacing the electrical panel or any portion of the home's wiring, we'll give you 10% off labor charges when you hire us to fix anything we find. It's another way we say "thank you" for choosing us as your electrical company in Orlando. EC#0002508 Licensed, Bonded, and Insured. Copyright © Spectrum Electric. All Rights Reserved.